An application to operate flights between Guernsey and Bristol has been withdrawn by airline Blue Islands. A spokesman for the firm said it would not have enough time to launch the service within six months of approval, as specified by regulations. He said the airline would instead focus on its new routes from Guernsey to Paris and Amsterdam. 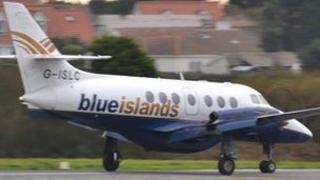 Blue Islands stopped all flights from Guernsey to Bournemouth and the Isle of Man earlier in the month. Airline Aurigny, which operates between Guernsey and Bristol, issued a statement saying it welcomed the decision. It said the route could not support two airlines.